Review originally published on Kurt's Frontier. Synopsis: “For ages, people have looked at the stars and wondered if we were alone in the universe.” Now we wish we were. Devlin Hart is a young man in a time where Earth is occupied territory. The Accordance—ruled by the squid-like alien Arvani with other, lesser races under their control—have conquered and pacified Earth. There is resistance, but no doubt the Accordance is in charge. Devlin’s parents are trying to resist peacefully. When they are caught and sentenced to death, the only way he can save them is by joining the Colonial Protection Force. 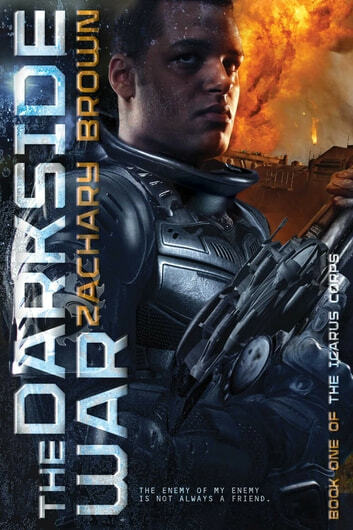 Sent to a training facility at Icarus on the dark side of the moon, he is taught to fight by the sadistic Arvani instructor, Commander Zeus. Devlin’s brutal combat training is interrupted when the Concordance, the Accordance’s enemy, attacks the moon base and the training facility. However, sometimes the enemy of your enemy is even worse than the your enemy. Now he and the surviving recruits must fight for their lives. 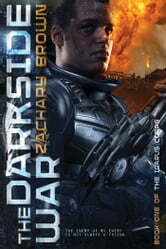 Review: The Darkside war is set in at time where an alien empire has pacified earth. However, the Accordance is not beyond fear. The Concordance is pressing in on their empire. Devlin and a group of misfit humans are to be trained to fight. The novel proves to be a fast read overall. The battle for Icarus Crater is exciting, and there are no guarantees that the Devlin and his friends will survive. The initial setup, while a little slow, does set up the interpersonal relationships between the characters. Overall, it is a fun and satisfying read for those who enjoy military science fiction.